Teazorean has provided me with Hysson for the purposes of providing an honest review. 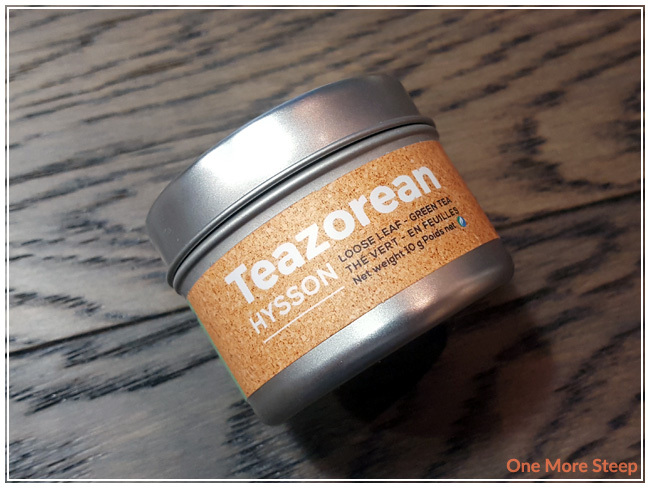 Teazorean describes Hysson as their “premium grade green tea”, and they sent me 10g to me in a cute little tin. The tea is a nice mix of different shades of green, with the pieces of tea leaves being flat. 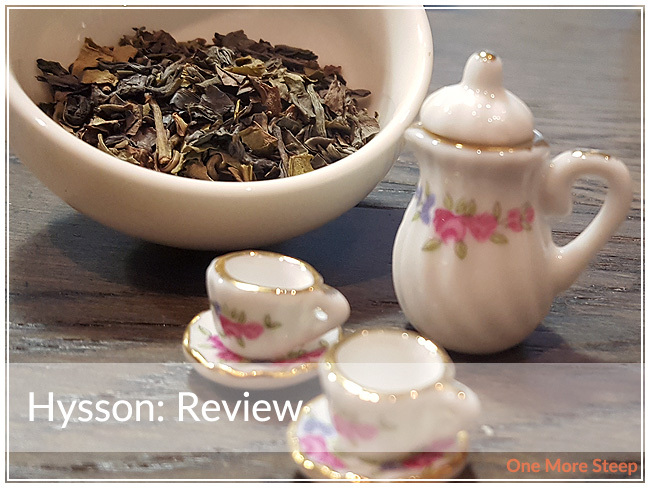 The smell that comes out of the tin of tea leaves is one that’s primarily vegetal and earthy – it reminds me a bit of mushrooms with a salty undertone. Hysson is a straight green tea. Teazorean shares details about where the tea leaves are grown on their website if you’re interested in learning about their tea farm on a volcanic island. Teazorean recommends steeping Hysson at 205°F (96°C) water for 5 minutes. My initial steep of Hysson followed Teazorean’s recommended steep times. I found my initial steep of Hysson to be quite bitter and quite undrinkable due to the high levels of astringency – the initial steep at 5 minutes was a dark, dark orange. I attempted another steep of Hysson with water at 175°F (80°C) for 2 minutes. 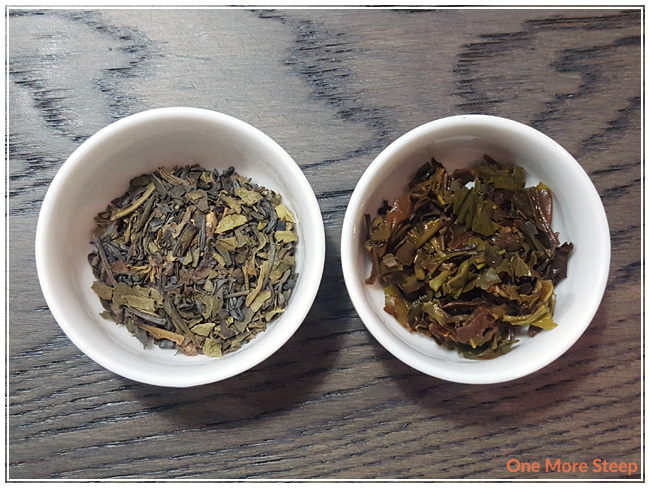 I found the tea to be palateable, with a mild astringency, no bitterness, and just some earthy mushroom notes in the tea. I really do think that the recommended steep temperature and time was far too hot and long for these leaves. I resteeped Hysson again at 175°F and for about 3 minutes, and found that the flavours were quite similar to the first steep. 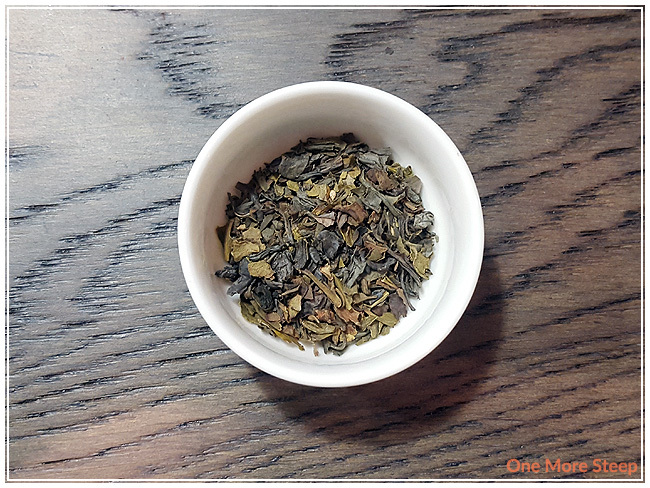 The big difference was less astringency and milder mushroom earthy notes to the tea. I liked Teazorean’s Hysson. I was really disappointed with this green tea when I steeped it in the recommended temperature water and for the length of time. It was far too bitter and astringent at the recommended steeping instructions. 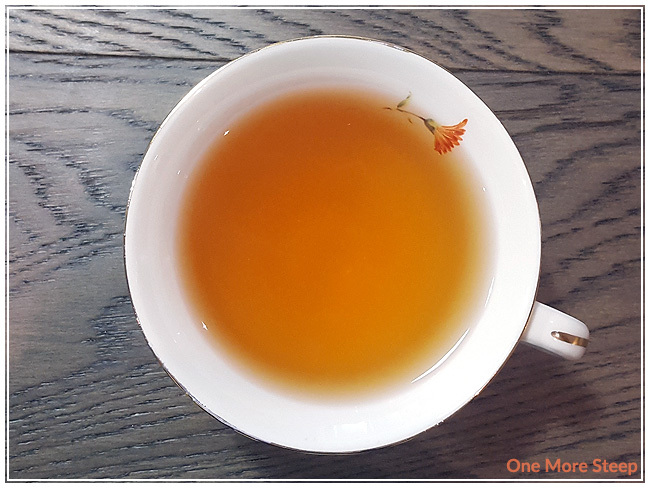 Once I steeped it at a cooler temperature and for less time, I found Hysson was a tasty cup of green tea with delicate mushroom flavours. It’s a nice tea, and I really enjoyed it. I think this would make a great pairing with savoury foods.